There are vehicles that you can’t help but love, and the 2016 Toyota Corolla S Brampton ON is one of them. This vehicle is incredibly efficient, super affordable and even fun to drive because it has so many great features. 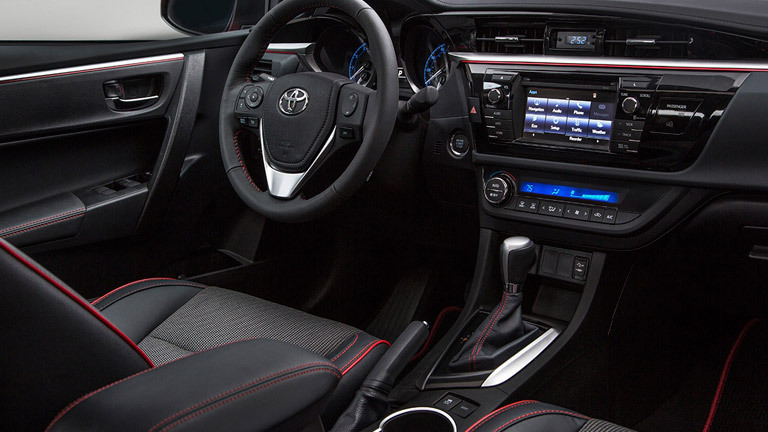 For the 2016 model year, the base model Corolla is largely the same as the 2015 model year, however, there is a new special edition Corolla that is catching everyone’s eye, and there are a few high-tech features that make driving much more enjoyable. Drivers interested in the 2016 Toyota Corolla in Brampton ON can learn more today at Attrell Toyota! The decision to get a new vehicle isn’t always an easy one, but when you go with Toyota, you will at least know that you have a quality product on your side. The 2016 Toyota Corolla comes standard with a 1.8L engine across the board for each of its four models, and the choice between an automatic, manual or continuously variable transmission. The 10 available colors allow drivers to build their perfect vehicle, and with the availability of all of the outstanding comfort and convenience features, your new Corolla may just be the most exciting purchase of the year. The 2016 Toyota Corolla gets up to 7.7L/100KM in the city and 5.6L/100KM on the highway, but even the standard Corolla has a pretty great fuel efficiency rating of 8.4L/100KM in the city and 6.4L/100KM on the highway. Get the 2016 Toyota Corolla Brampton ON at Attrell Toyota! The Corolla is one of those vehicles that you can’t ignore. It is bold, brilliant and beautifully crafted to be one of the classic vehicles of the era. It is easy to understand why so many drivers love the Toyota Corolla, but let’s take a look at the 2016 Toyota Corolla a bit further, shall we? For starters, the 2016 Corolla comes with LED headlights that allow it to see and be seen much better. The improved suspension system and low-rolling resistance tires provide a smooth ride no matter the terrain, and the available moonroof provides a feeling of luxury you won’t get otherwise. Get the 2016 Toyota Corolla at Attrell Toyota!